Let's decorate the tree! 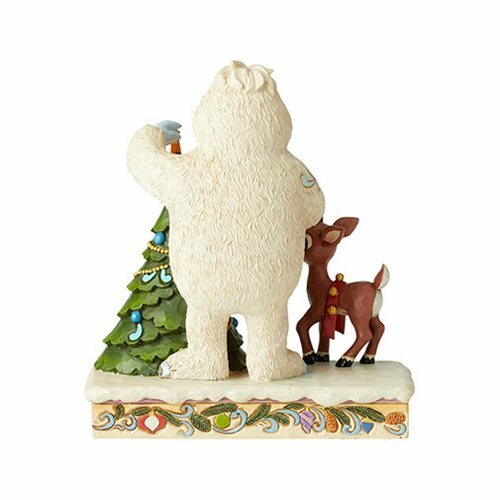 Bumble adds a star to the top as Rudolph looks on in this festive 7 3/5-inch tall x 6 4/5-inch wide x 3 1/2-inch long Rudolph the Red-Nosed Reindeer and Bumble with Tree by Jim Shore Statue. 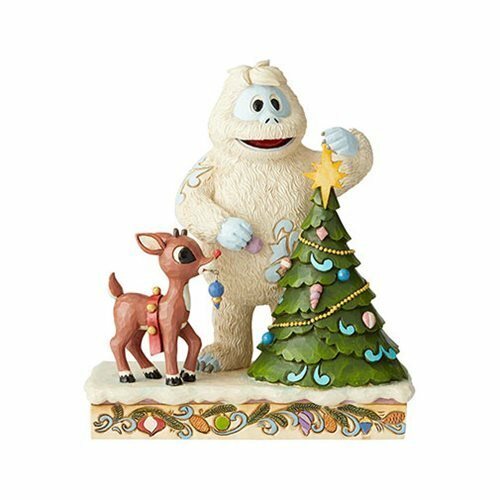 It's made of stone resin and will look wonderful in your house!